As you can probably tell by the pictures, this device is called the NEWA – it’s designed by a company called AesthetiCare, who work with aesthetic clinics across the UK, providing them with clinically proven medigrade skincare and treatments for skin rejuvenation and problem skin conditions – so these guys definitely know their stuff. So what actually is the NEWA? Well it’s a brand new advanced home-use beauty tool specifically designed (and clinically proven) to reduce the appearance of wrinkles, tighten the skin, as well as lift and firm, to leave you with a youthful looking, more radiant complexion. It also works to prevent new wrinkles from developing too which is a bonus! And how does it work? 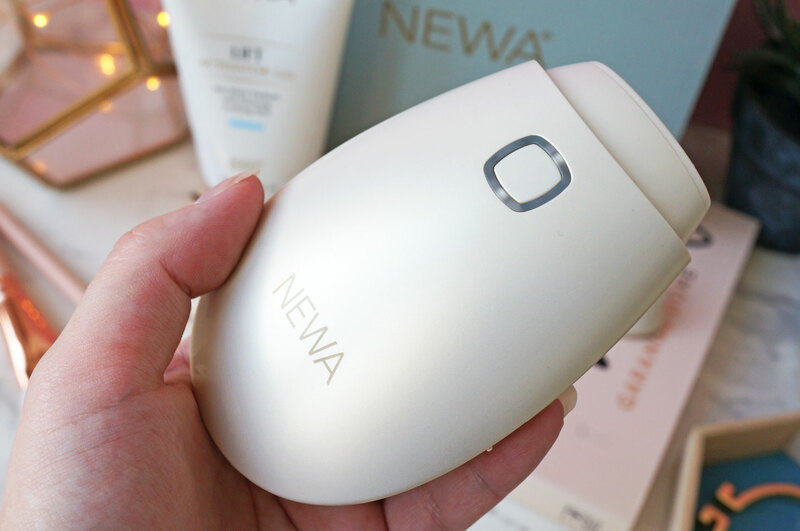 The NEWA utilises something called 3DEEP technology, which is a unique and patented form of radiofrequency that delivers controlled energy deep into the skin. This energy warms up the skin tissue to the optimum level that stimulates natural collagen production, increasing the blood supply to the skin, and promoting healthy cell activity, which results in wrinkle reduction and skin rejuvenation. 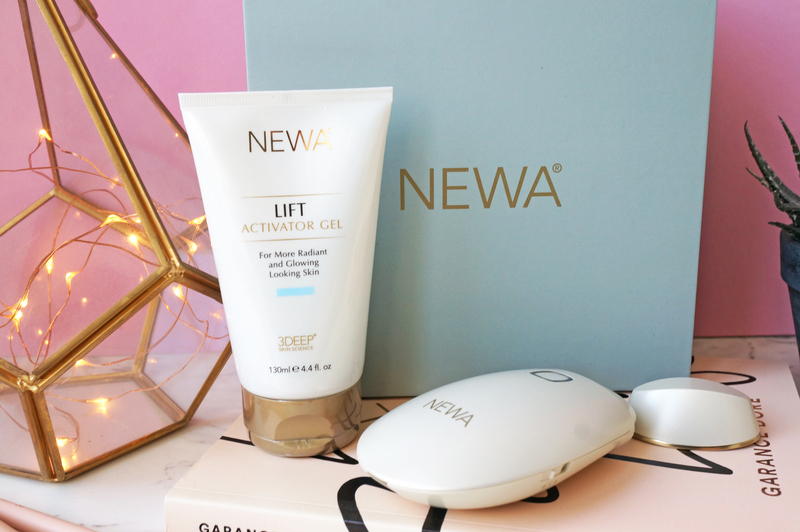 The NEWA is really easy to use too – you just apply some Lift Activator Gel to the metal part on top of the device, rub the device lightly over the treatment area to spread the gel over the skin, then turn the device on and again go over lightly in circular motions. It feels lovely and warm and relaxing on the skin, very much like a massage. I should also point out that the device is FDA cleared for home use, and is completely safe to use, with no pain whatsoever – I was quite surprised to find it such an enjoyable, pampering and pleasant experience. Also, you can use it any time of day, which is handy to suit your schedule. I prefer the evenings as it’s such a relaxing experience I think it’s nice to do before bed time. 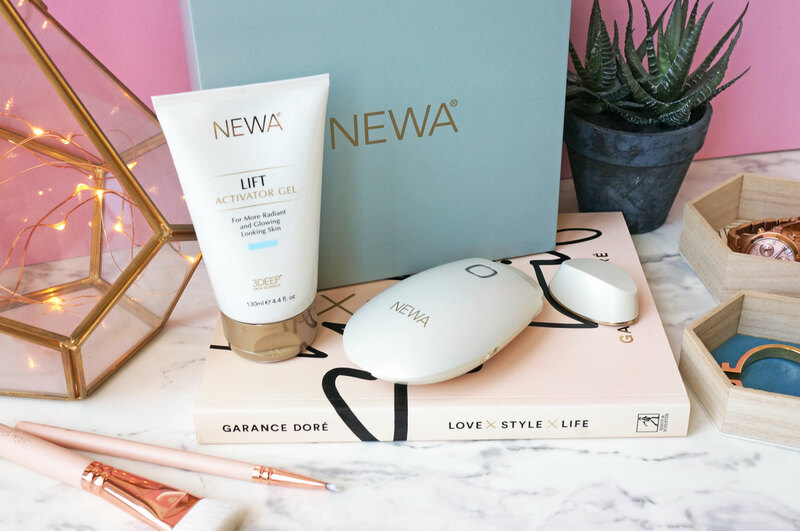 NEWA advise to split the face into six treatment areas, which take four minutes each to treat, and you’re advised to use the NEWA five times per week for the first four weeks, then twice a week after that. Giving your face a lovely warming massage for 24 minutes is the perfect excuse for taking some time out and getting some quality ‘me time’. It’s also worth mentioning that the device vibrates to let you know when each section of the face has been done, which is a really handy feature. Ok so after using this for just over a month, I have to say I’m really pleased with the results. 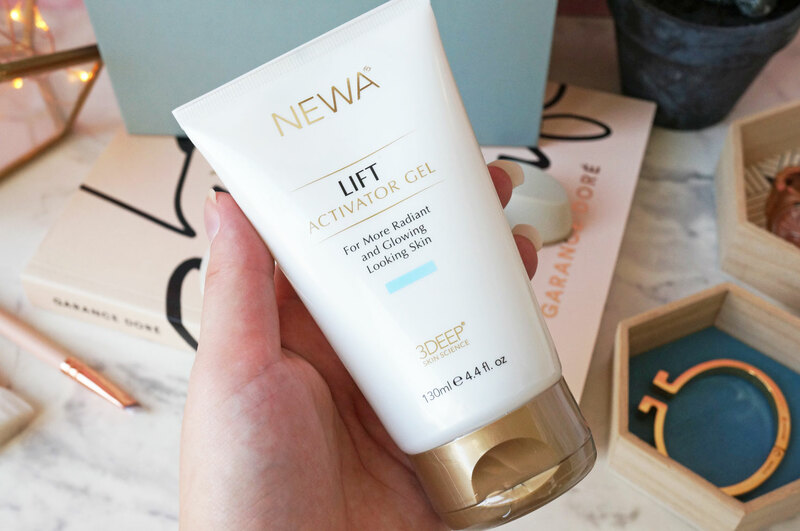 Immediately after the first use my skin just felt ‘better’, it felt plumper and definitely looked more radiant. After a month I felt like I could really see a difference, the fine lines around my eyes appeared less visible, and my skin just looked brighter and more healthy than before. I would definitely recommend this to someone looking for a home-use beauty tool to help with wrinkles – at £349 I know the price is steep, but if you were to go for similar salon treatments you can bet you’d be spending a lot more than that. At least with the NEWA you get the convenience of using it in the comfort of your own home, at times to suit you. 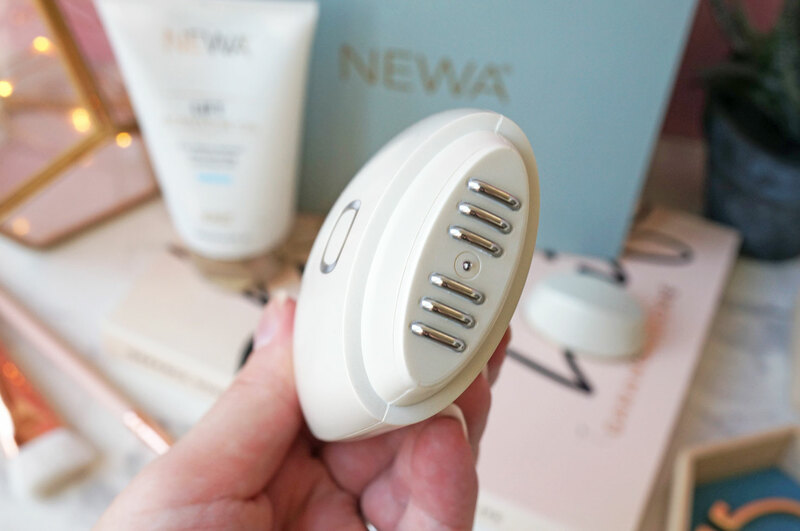 The NEWA Beauty Tool is available now at NEWA Beauty for £349.00. This post is sponsored by NEWA, all thoughts and opinions are my own. Previous Post Beauty News & Gossip 11/01/17: Jeffree Star, Huda Beauty, Too Faced & More!